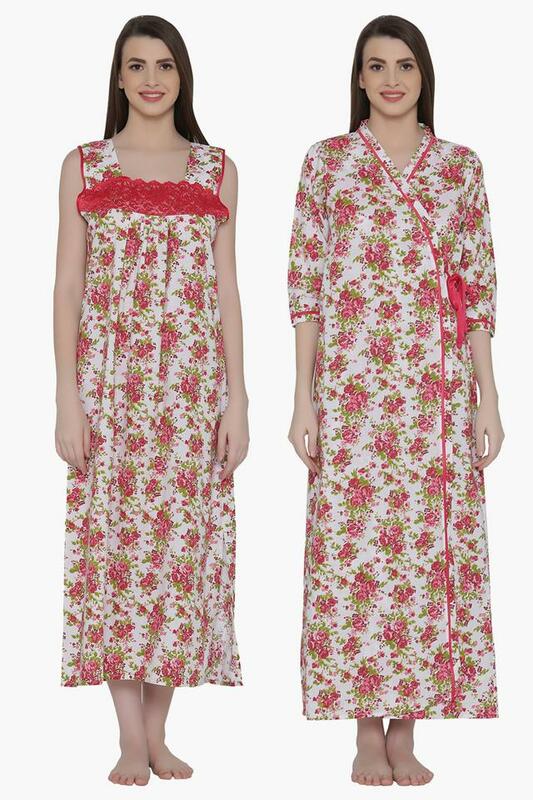 Give up your regular nighty for this trendy night gown and robe set from Clovia. 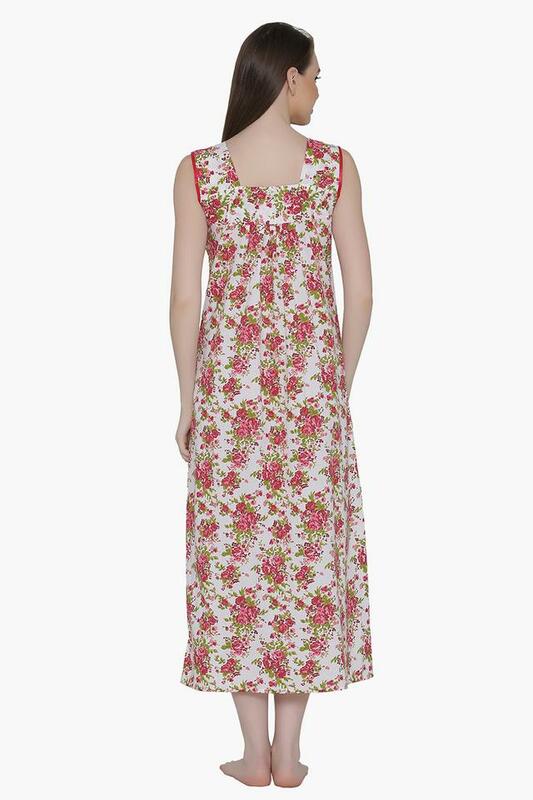 It features floral print and it is made from polycotton fabric material which look very beautiful. 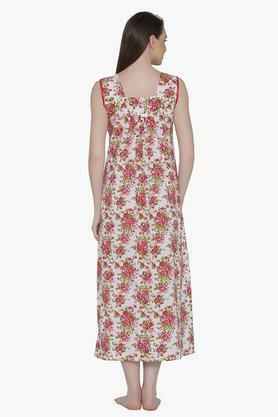 The robe has V neck and gown has square neck which render its quality. 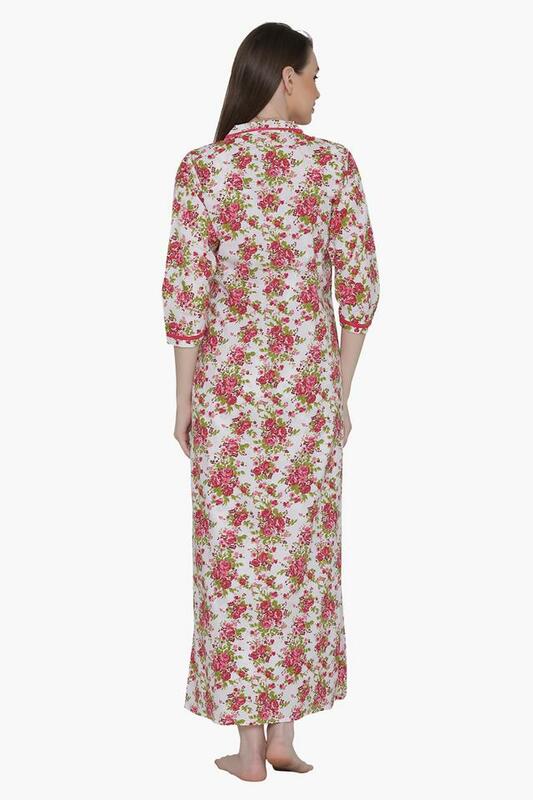 Stay comfortable and cozy in this night gown and robe set from Clovia. Wear this to experience carefree nights.